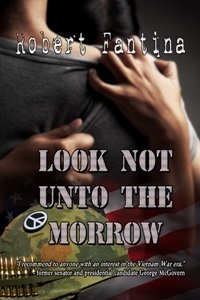 “Look Not Unto the Morrow” by Robert Fantina is an impressive read that stayed with me for some time after I finished the book. It concerns a love triangle in the 1960s. Roger, who is drafted by the infamous Lottery into the Vietnam war. His girlfriend Pam stays behind and inspired by his letters becomes prominently involved in the peace demonstrations, organised by Roger’s former flatmate Matt. While Roger is away he experiences the harsh reality of army life and is confronted with the fact that in war you chose to kill rather than be killed. The perspective switches several times and shows Pam’s side of the story, too, as she gets drawn into the protests against the war, the famous April 4 at 4pm. Violence and counter violence at home by alleged peaceful protesters and by the police, the lines are blurring here as they were in Vietnam. Fantina does a brilliant job at exposing the mechanisms at work and the absurdities involved. When Roger comes back Pam has left him and he needs to pick up the pieces of his shattered life, learn to life with his consciousness, guilt and an unexpected multitude of consequences. Nobody thanks him when he gets home, he does not even know what home is and there is more. Instead of an author interview Robert Fantina has kindly agreed to share some more data from his research with us that touches on the issues so well presented in his book. As we were planning the interview my questions all seemed to come down to background information, much of which is provided in this piece. I apologise to anyone who feels offended by the inclusion of what may be seen as a political piece on a literary blog. I personally see the article more of a humanitarian and informative nature that I wanted to share. Alcoholism, substance abuse, domestic violence, depression, suicide, homelessness. These are problems that the United States and many other nations face. Much is done to attempt to alleviate them, but they are difficult and persistent. In the United States, military veterans suffer from these afflictions in disproportionate numbers. In December of 2012, a report from the U.S. Veterans’ Administration stated that, at the end of September of that year, “…26,531 veterans were living on the street, at risk of losing their homes, staying in temporary housing or receiving federal vouchers to pay rent. That compares to 10,500 in 2010.” And this only counts veterans of the Iraq and Afghanistan wars. It is further estimated that 1,400,000 additional veterans are at risk of homelessness. Most of the homeless veterans suffer from mental illness and/or substance abuse. Substance abuse among veterans is also near epidemic proportions, and is even greater among those with mental health problems. These issues, combined with and compounded by Post Traumatic Stress Disorder, have elevated the levels of domestic violence among veterans. It is tragic that the people suffering from these afflictions are most often those who entered some branch of the U.S. military as healthy young men and women, either with the desire to ‘fight for freedom’, or to escape unemployment, in the hope that military service would help provide them with an education once it was complete. So many thousands of them return home, physically and emotionally damaged, unable to function in the society that they attempted to serve, and mostly abandoned by the government that sent them to war. One’s memory is short indeed if one has forgotten the appalling conditions that military veterans were forced to live in at the Walter Reed Medical Center in Washington, D.C. In December of 2006, President George Bush toured a part of that facility, and said this: “We owe them all we can give them. Not only for when they’re in harm’s way, but when they come home to help them adjust if they have wounds, or help them adjust after their time in service.” This from the man who sent them into an unnecessary war without the armor required to protect themselves. It wasn’t two months later that the world learned of the horrific conditions at the facility Mr. Bush visited. Injured veterans, sent to Iraq to search for non-existent weapons of mass destruction, or to Afghanistan, ostensibly to find the mastermind of the 9/11 attacks, but more probably to topple the government of the Taliban so an oil pipeline could be constructed through the country, were dumped into roach-infested rooms. Ceilings were rotting and black mold covered the walls. Some of these veterans, unable to walk the distance to the cafeteria, purchased food from restaurants and stores closer to their rooms, in the crime-ridden area of the city where Walter Reed is located. This probably only increased the problems of rodents and roaches that the veterans were forced to live among. A few days after the worldwide expose on Walter Reed, Lt. Gen. Kevin Kiley, the Army’s Surgeon General, commented: “I do not consider Building 18 to be substandard.” Building 18 was one of the worst buildings identified in the report. Mr. Kiley continued: “We needed to do a better job on some of those rooms, and those of you that got in today saw that we frankly have fixed all of those problems. They weren’t serious, and there weren’t a lot of them.” Happily, a few cans of paint slapped against the walls and the application of some insecticide solved all these problems, or so the public was told. That, and a broom to sweep up the dead roaches, was all that was really needed. Yet addressing the cosmetic issues in a few rooms hardly ends the problems. One injured veteran reported being dropped off at the facility, with no one to direct him to where he needed to be. He asked directions of people he encountered, but due to his injuries was unable to follow them. Yet he was left alone to fend for himself. The family of another veteran reported that the facility lost his records, so while he was housed there, he was receiving no treatment. This is hardly a new phenomenon in the U.S. military. A few historical examples will suffice to show that, for the military, abuse and neglect of its soldiers and veterans are simply business as usual. “Food at Jefferson Barracks was also an issue, as it has frequently been in the U.S.
“The soldier in questions was Army Spc. Tyson Johnson III of Mobile, Al. While on duty in Iraq, Mr. Johnson lost a kidney in a mortar attack. During his recovery at the Walter Reed Army Medical Center, ‘…he received notice from the Pentagon’s own collection agency that he owed more than $2,700 because he could not fulfill his full 36-month tour of duty.’ This ‘bill’ was shown on his credit report as an unpaid loan from the government. Because of it, he was prevented from renting an apartment or getting a credit card. At the time this was reported, Mr. Johnson was recuperating from his injuries while living in his car. The examples are endless. The U.S. military, from the moment an individual enters it, strips that individual of his or her basic human rights. The nation that tells its citizens that it is sending their children to fight for freedom, denies that very freedom to those ostensibly fighting for it. Can anyone not understand how soldiers or veterans might drink or use drugs to ease their pain? Is it difficult to comprehend how, burdened with physical and emotional problems, with no one to help them but family and friends, they might be unable to hold a job? Inexcusable as domestic violence is in all circumstances, when an angry soldier or veteran lashes out at those he loves, either because he is experiencing a flashback or is so enraged at the cards the government has dealt him, and lacks any constructive way of dealing with that rage, cannot his crying need for help be understood? And what of these soldiers’ loved ones? They desperately petition an uncaring and indifferent bureaucracy in vain for some assistance for the young man or woman in their life who has sacrificed greatly for the country that has now abandoned them. They search for some assistance – governmental or private – often beyond their reach financially. And so they watch as their beloved veteran suffers, with no one to provide the required assistance. This is the reality of the U.S. military. This neglect is not new, and is not an anomaly. It is simply how the U.S. military works. It uses its soldiers in any way it pleases, for as long as it pleases, and then discards them like a worn out piece of equipment. And for the soldier and his or her family, coming home does nothing to end their suffering. 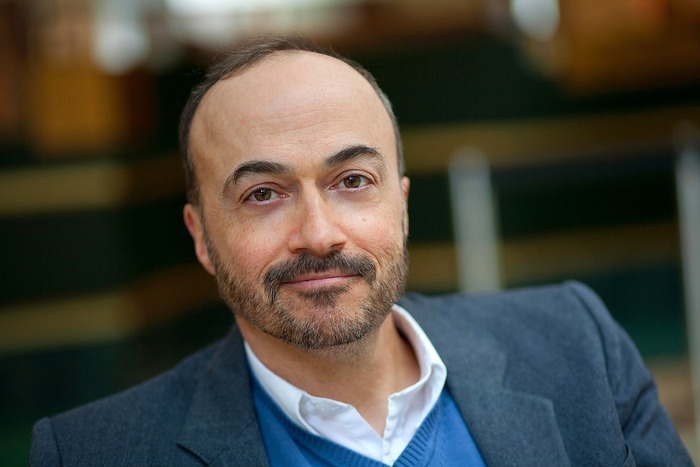 Robert Fantina is an author and journalist whose main interest is in human rights. He has written extensively on the oppression of the Palestinian people by Israel. He also writes on the political situation in the United States. He is the author of ‘Desertion and the American Soldier: 1776 – 2006’, a detailed history of desertion from the U.S .military; ‘Look Not Unto the Morrow’, a Vietnam era, anti-war novel, and his forthcoming book is entitled ‘Empire, Racism and Genocide: A History of U.S. Foreign Policy’. That book is scheduled for publication in November of 2013. Mr. Fantina is a U.S. citizen who moved to Canada in 2005. All books are all there, with links to Amazon for each one. An interview with David Swanson of Talk Nation Radio, in March of this year. I just finished “Until Tuesday: A Wounded Warrior and the Golden Retriever Who Saved Him” by Luis Carlos Montalvan. Ostensibly a pretty dog’s story — but it is not. Mr. Montalvan, a former Army captain, returned from two tours in Iraq with PTSD and severe head injuries. His story echos the sorry “welcome” these brave veterans receive back home–the country they served, the country they revered–the country that now lets them rot. For both, Fantina and Montalvan, to write it “as it is” and not “as it is touted to be” is not only remarkable but quite courageous. It is also heartbreaking that there was a need for them to do so.